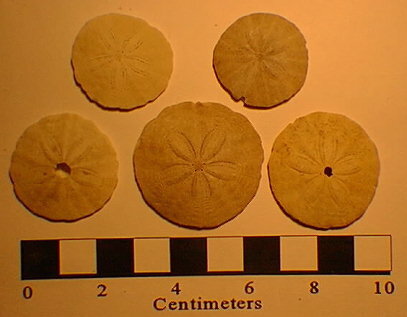 This web page is a short collection of images of seashore creatures commonly found on beaches of the New York Bight. The short discussion on the companion Shells Web Page regarding ecological factors and pollution also apply to the seashore creatures illustrated here. Specimens on this page and on the other pages represent collections that were made during the winter and spring of 1995-1996 on the beaches of Breezy Point (Rockaway, Queens, NY) and Sandy Hook (Monmouth County, NY). 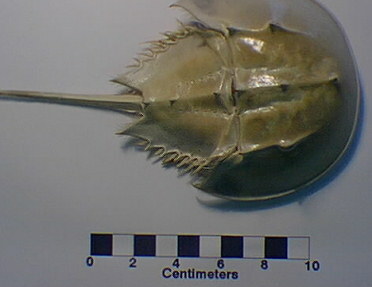 Exceptions to this are noted in cases where larger, better-preserved specimens of the same species were collected elsewhere. 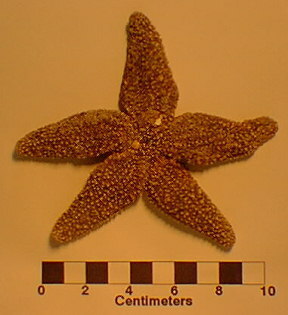 Forbes Common Sea Star: Asterias forbesi. 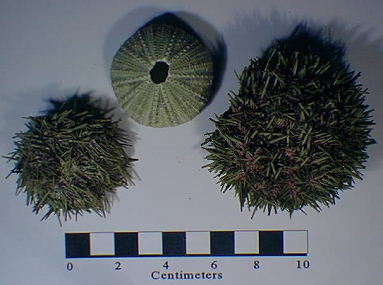 Green Sea Urchin: Strongylocentrotus droebachiensis. 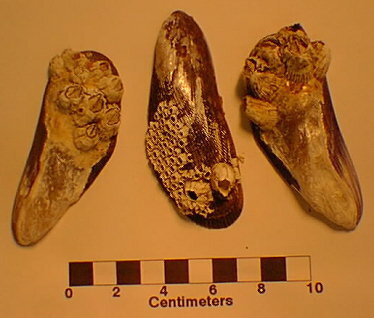 Northern Rock Barnacles: Balanus halanoides (encrusting Atlantic Ribbed Mussel shells). 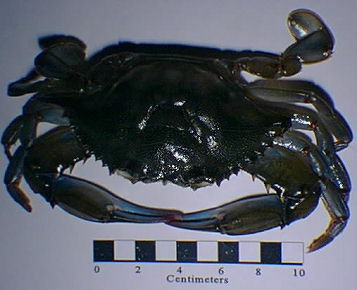 Blue Crab: Callinectes sapidus (dorsal view). 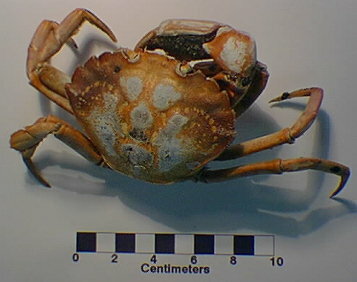 Blue Crab: Callinectes sapidus (ventral view). 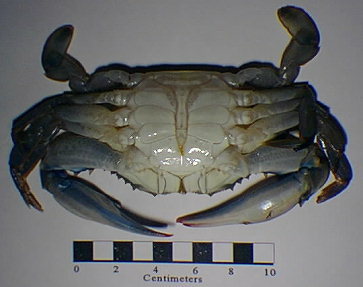 Compare this specimen with the fossil "blue crab" on the "fossils web page." 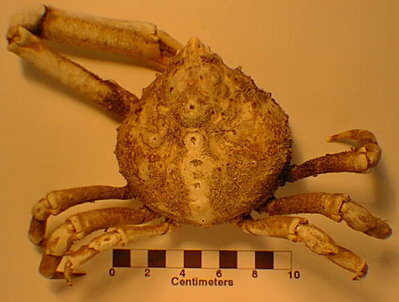 Common Spider Crab: Libinia emarginata. 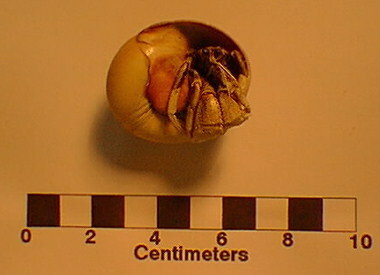 Flat-clawed Hermit Crab: Paagurus pollicaris.